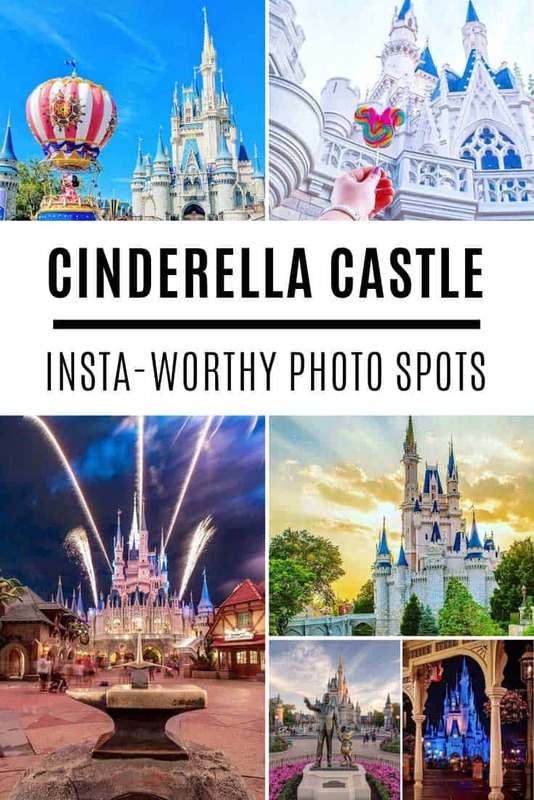 You can’t go on vacation to Disney World without taking a photo of Cinderella Castle, so we’re sharing the best photo spots you can use to take a beautiful picture. 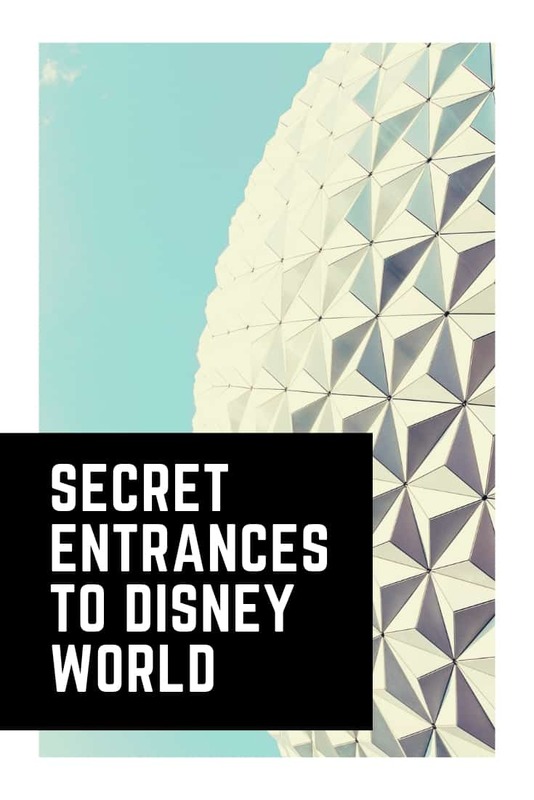 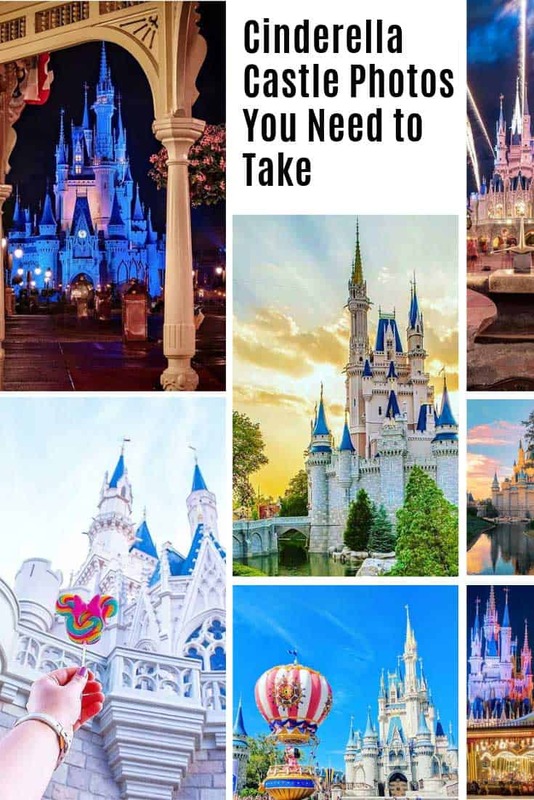 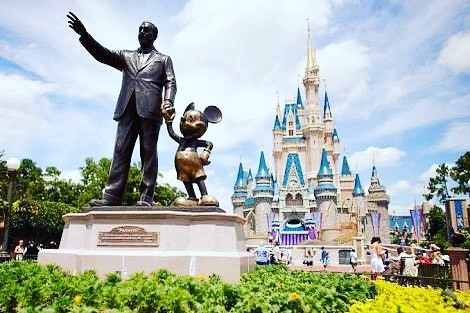 No Disney World vacation photo album is complete without a picture of the iconic Cinderella Castle, and you might be tempted to just stand at the top of Main Street USA and point your camera front and square for that classic castle shot. 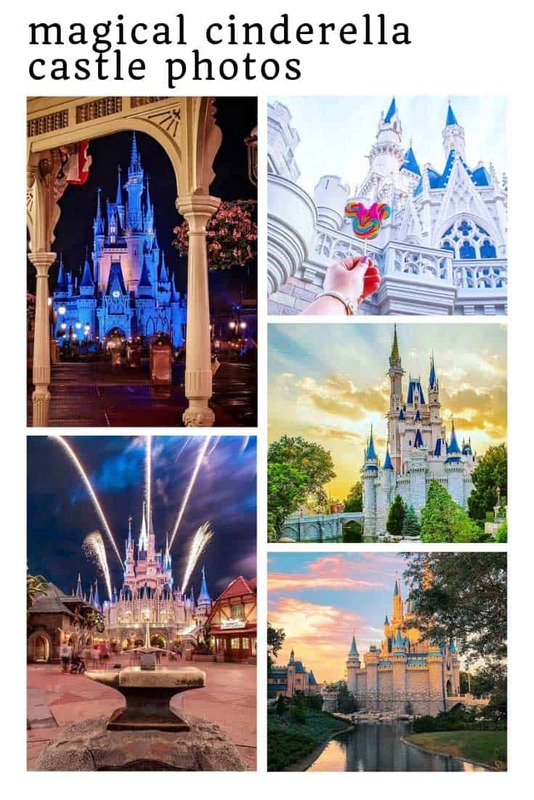 But today I’m sharing 19 more creative shots of the castle for you to try out for yourself! 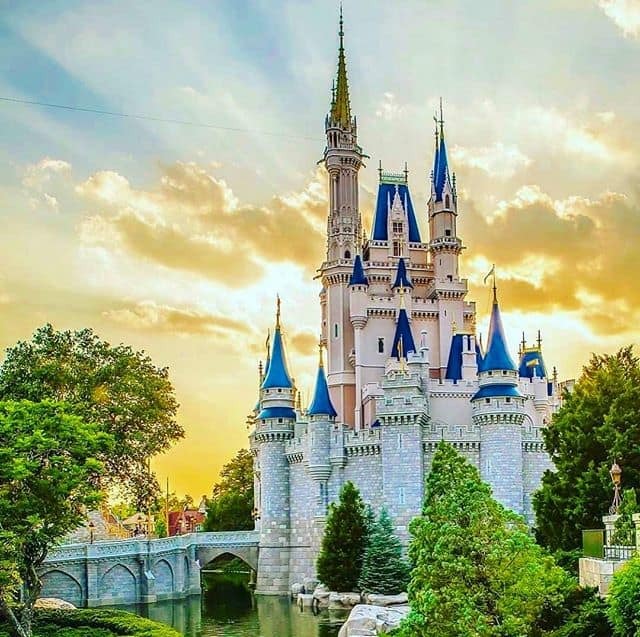 You’ll end up with a magical photo that’s not only worthy of your instagram feed but also of framing and putting up on your wall! 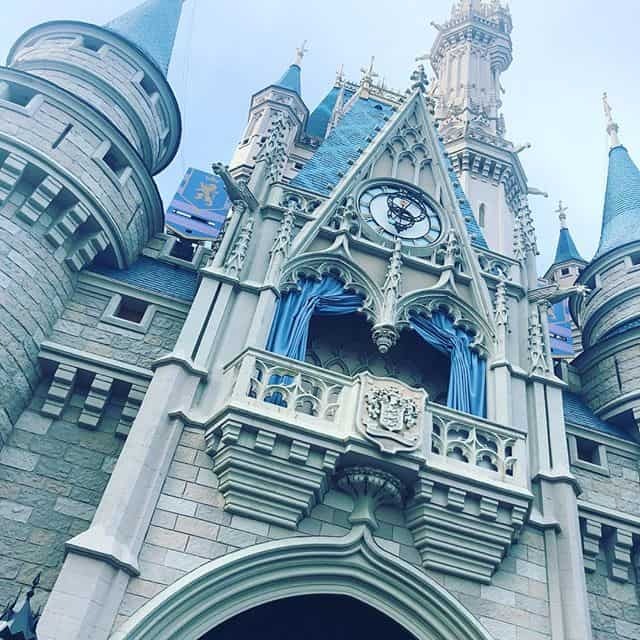 Not all of your photos of Cinderella Castle need to be straight on or include the whole castle, try getting up close or down low and capture some of the details. 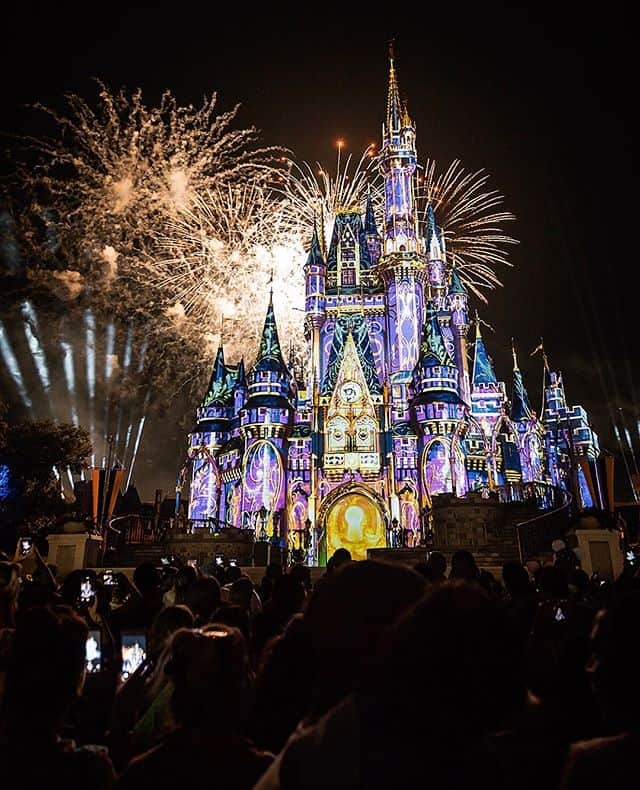 Don’t forget your family when you’re capturing the beauty of Cinderella’s Castle! 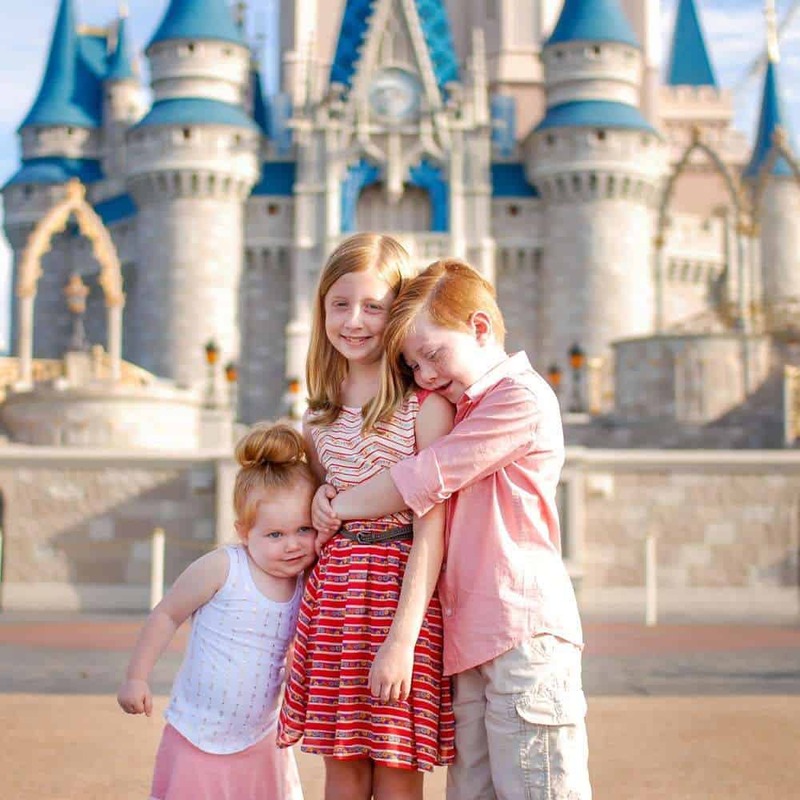 Katie has spent hours mastering the art of taking adorable pictures of her kids in front of the Castle and if you click here you can download her FREE guide where she’ll tell you all of her secrets so you can do it too! 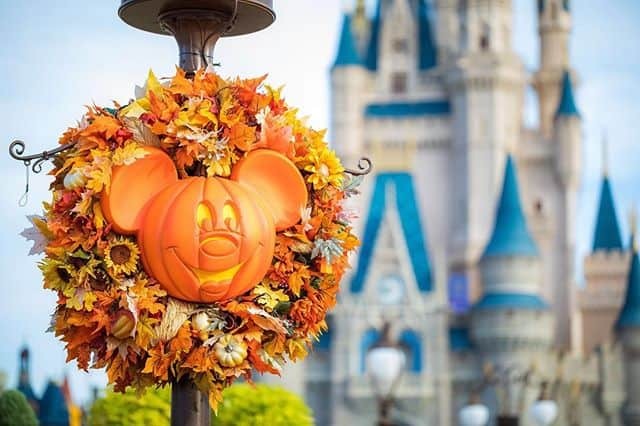 This shot is a nice reminder that you were there for Halloween. 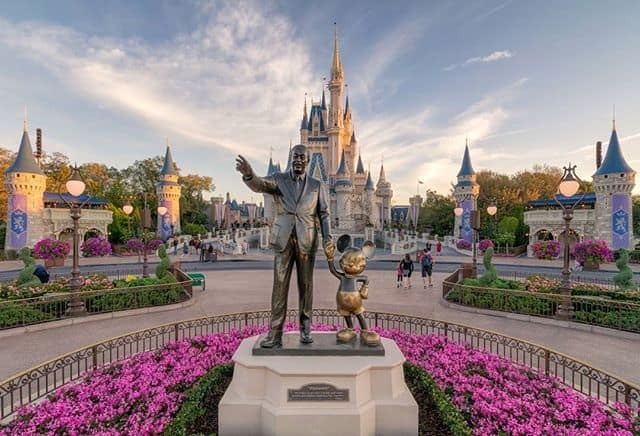 So that you get the full view of Cinderella Castle in along side the statue of Walt showing Mickey the view down Main Street. 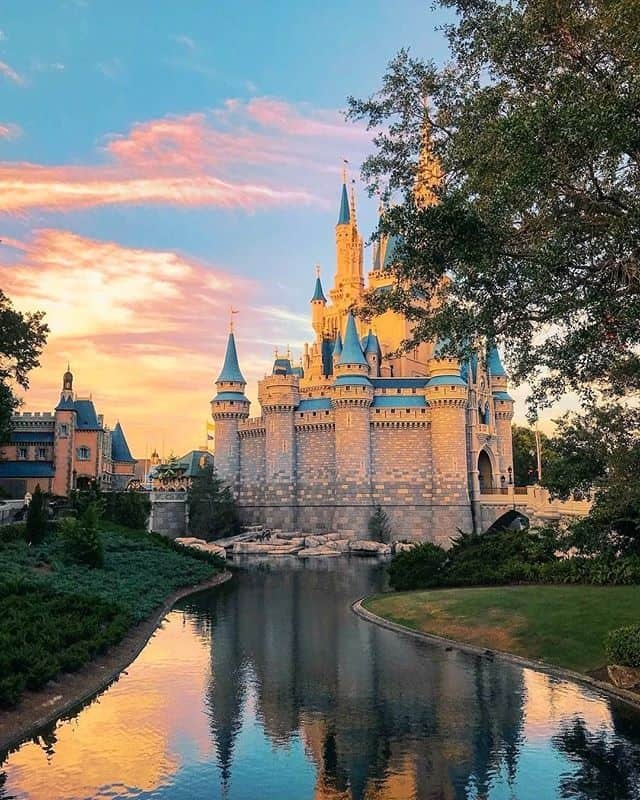 This shot works best when crowds are low, so you might need an early morning breakfast reservation at one of the Magic Kingdom restaurants. 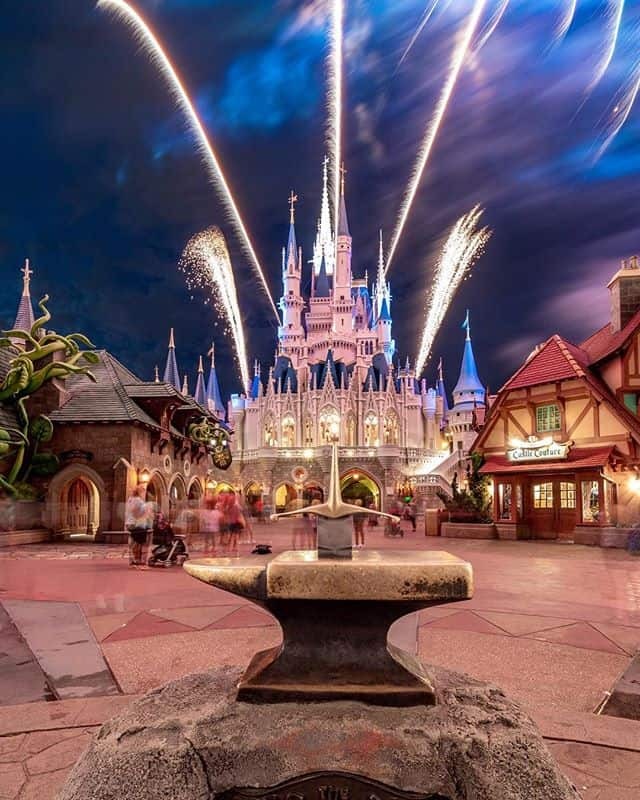 This night time shot is stunning but if you can capture it during the fireworks you have a pretty magical shot of Cinderella Castle for your scrapbook! 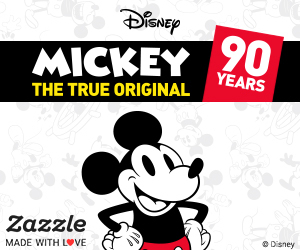 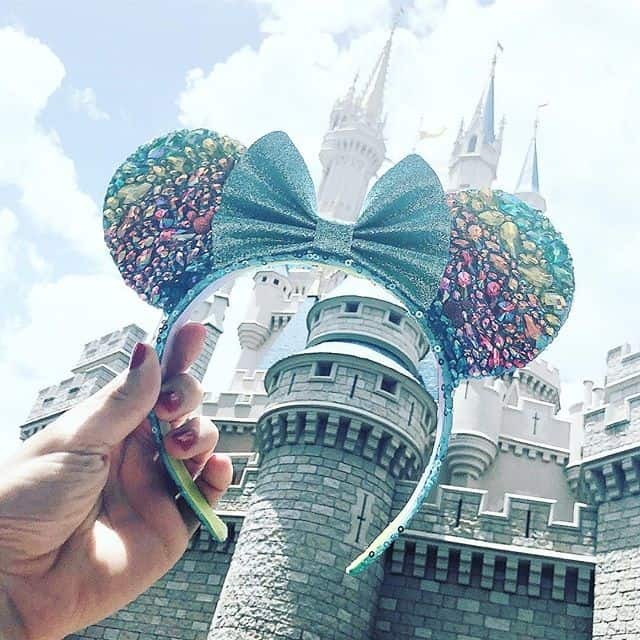 Get your cute sequinned Minnie Ears in the frame! 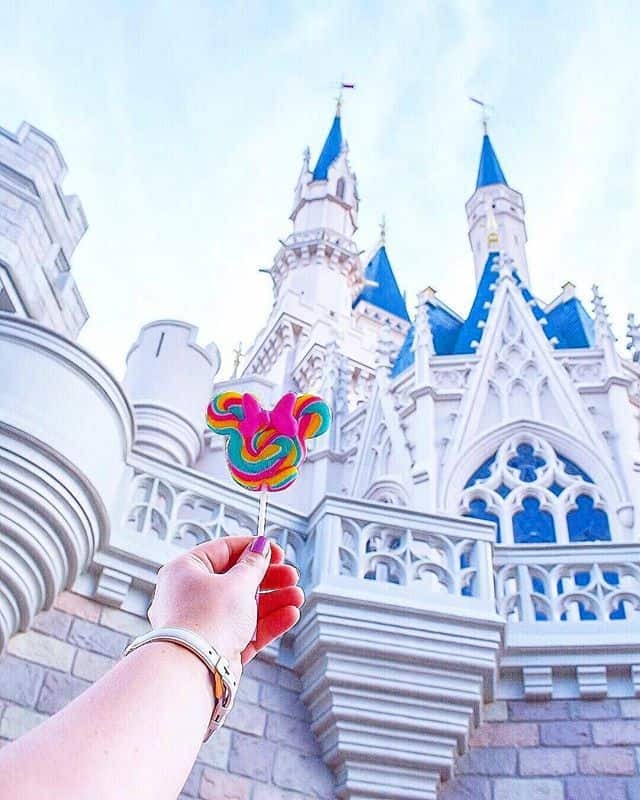 Capturing Cinderella’s Castle as the background of a “food selfie” is pretty popular on Instagram right now! 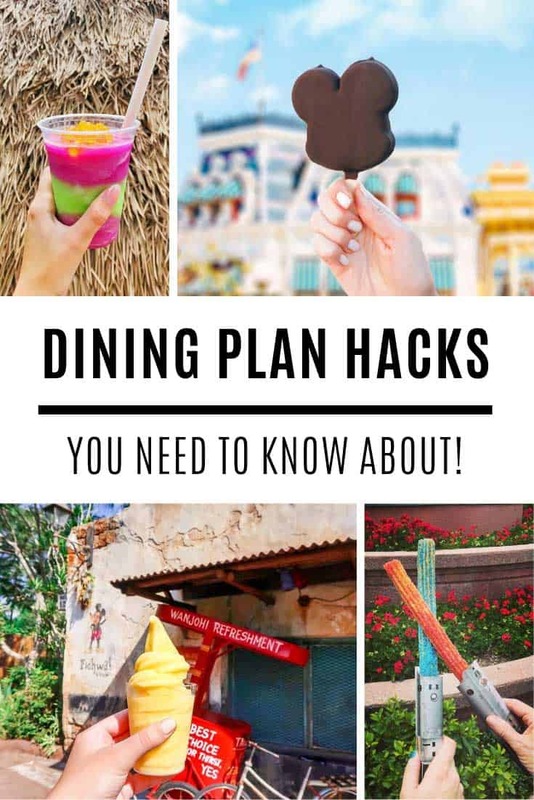 There are so many fabulous looking snacks available at Disney World you might as well take pictures of them to show your friends! 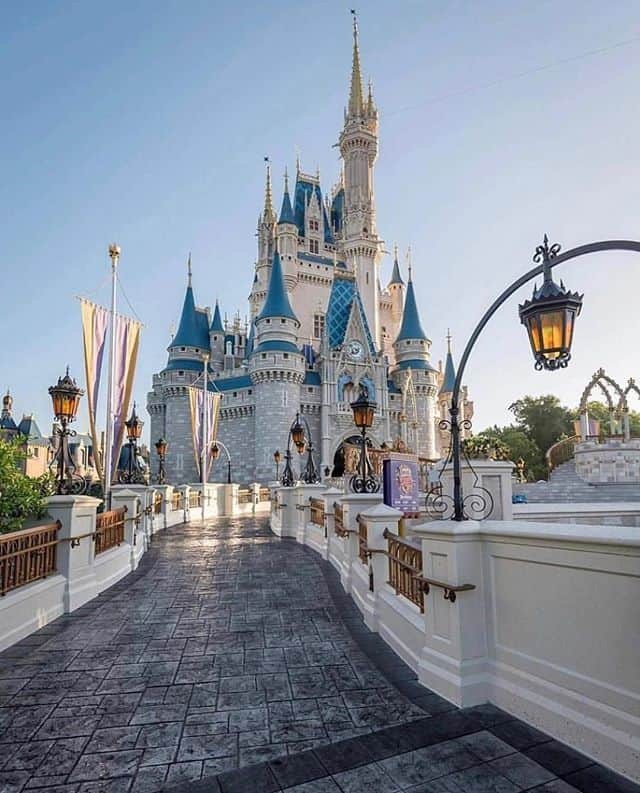 This is one of my favourite places to take a photo of the castle, from the bridge crossing into Liberty Square. 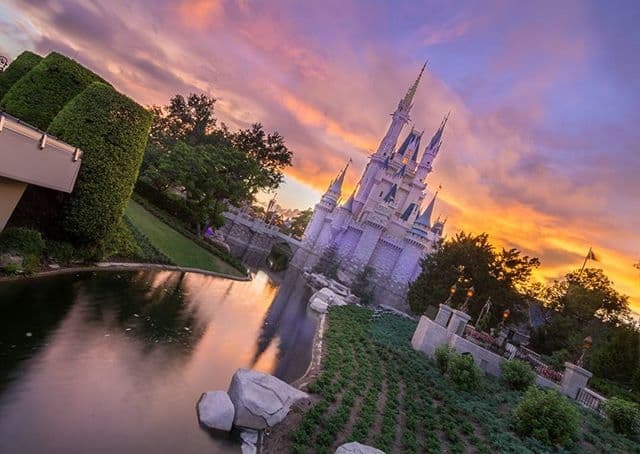 Throw in a sunset and you’ve got a memorable photograph! 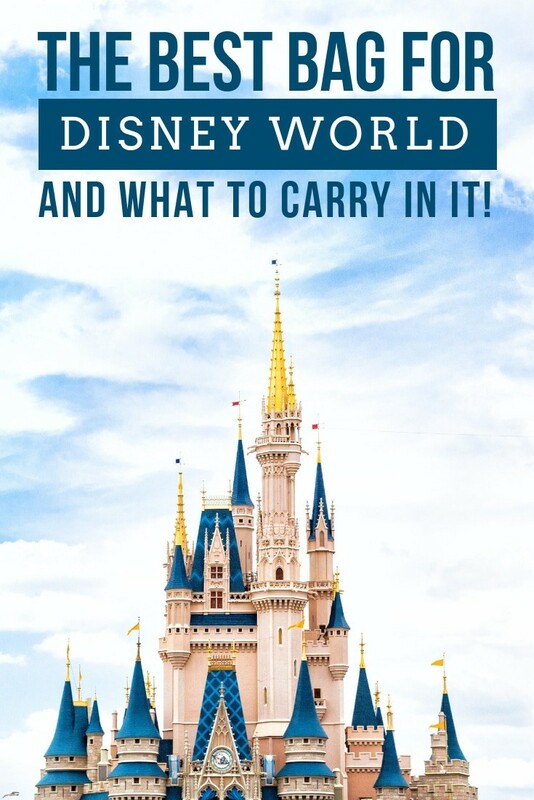 Or try this one from the other side of the castle. 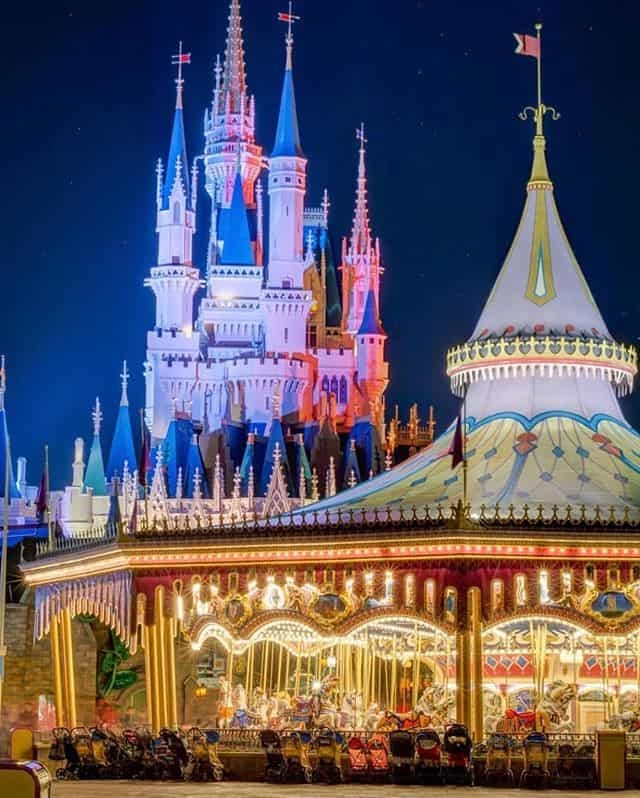 If you watch the parade from just in front of the castle you can capture any of your favourite floats with the castle behind. 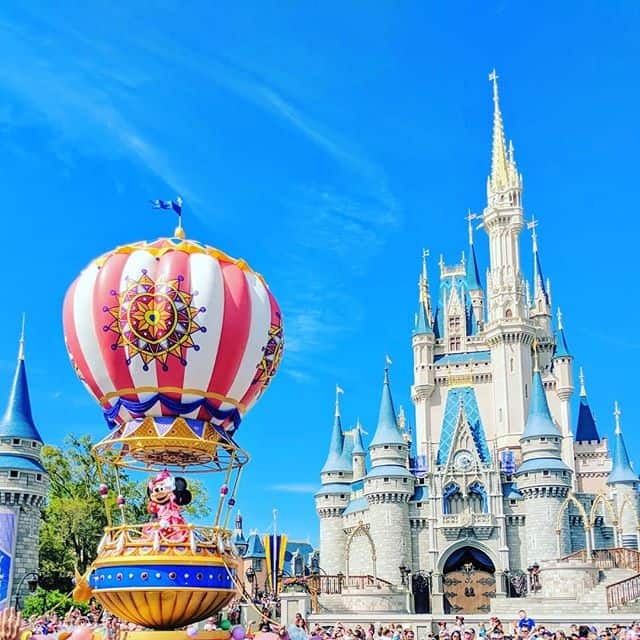 This one of Minnie and Mickey in their hot air balloon is my favorite. 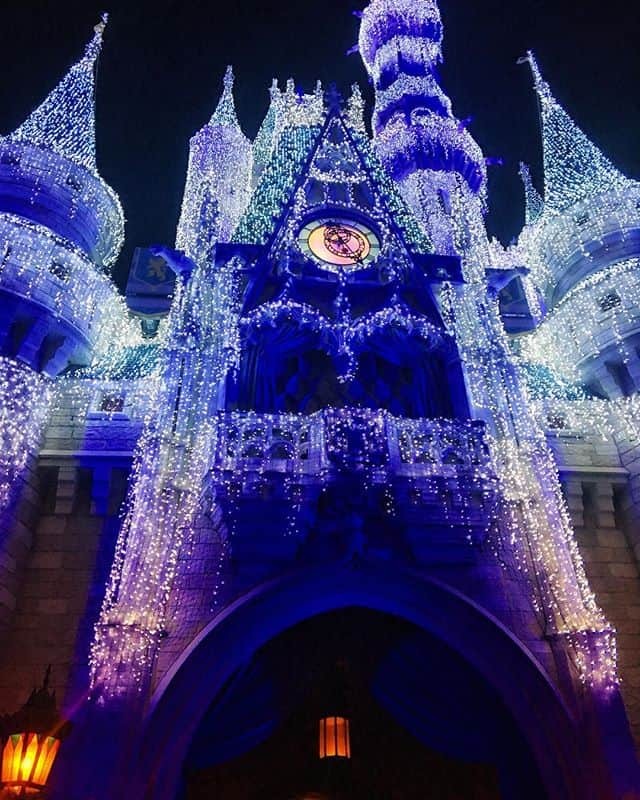 As the Holidays approach the castle is covered with fairy lights and it’s the perfect time of year to get a different shot of the castle. 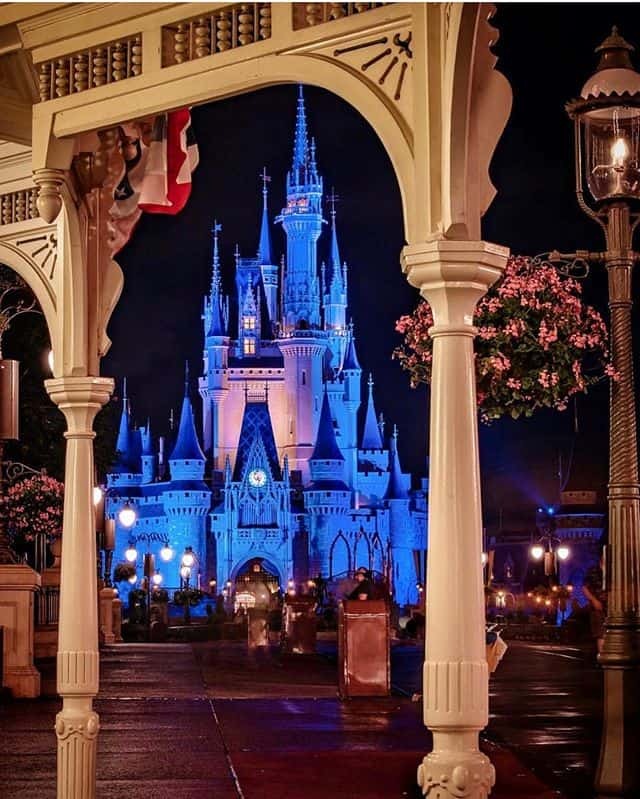 Fit in more of the surroundings by tilting your camera. 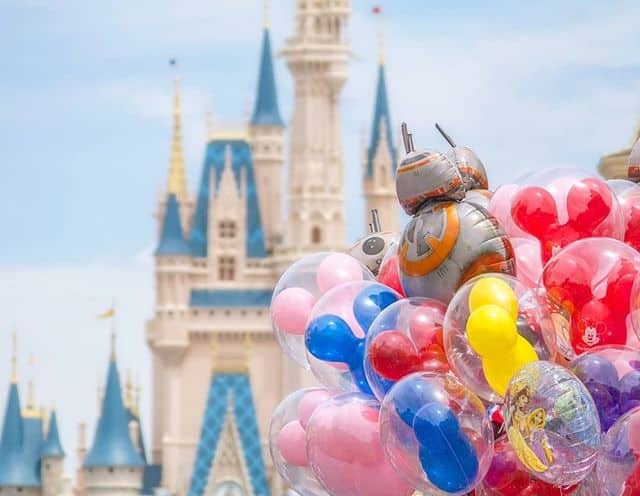 Keep your eyes peeled for the cast member selling balloons on Main Street for an excellent castle photo opportunity! 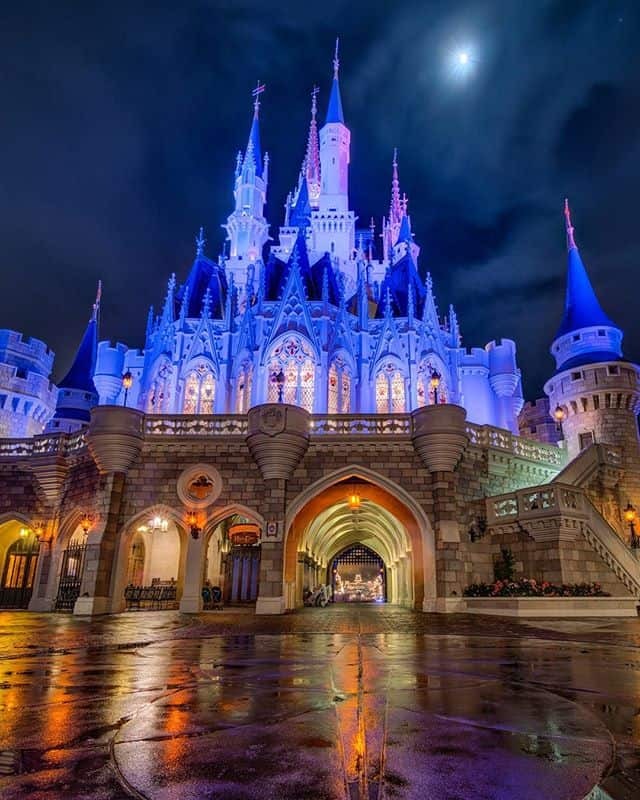 Don’t be put off if it rains during your trip, a stormy night is the perfect time to capture the castle looking magical!